Where do I start? It's been an awesome trip so far. Everything has gone wonderfully. We LOVE it here! It's strange how homey the US feels. Europe felt foreign and even England too but the US...ahhh...I wanted to dislike it but can't. The weather today was awesome. We drove north to Point Reyes for freshly shucked oysters at Drakes Oyster Farm. It was a mad drive on snakey Highway 1 to get to the farm before it closed at 4:30 pm. We had spent too much time taking photos of the Golden Gate Bridge. The sky was blue and there was no fog; just perfect if not a little bit too glaring because the sun at 2 to 3 pm was high up in the sky. We raced down the dirt road and nearly slammed into the oyster shack, the clock reading 4:23 pm. However, Yi got sick and threw up so she couldn't eat (but did manage to swallow two oysters later). CY, my uni roomie, was such a sweetheart to drive us more than 2 hours up just for a dozen oysters! On the way back we had more oysters and clams at a restaurant n the food was SO GOOD. 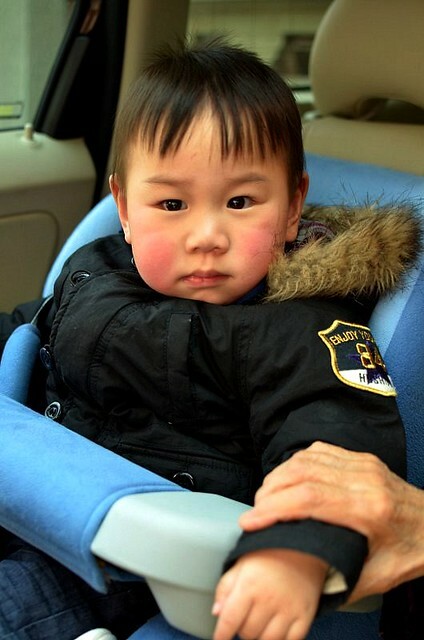 It was a rush back to the city again because Yi had a dinner. She's having such a great time I don't know if she can settle down when she goes back to work. 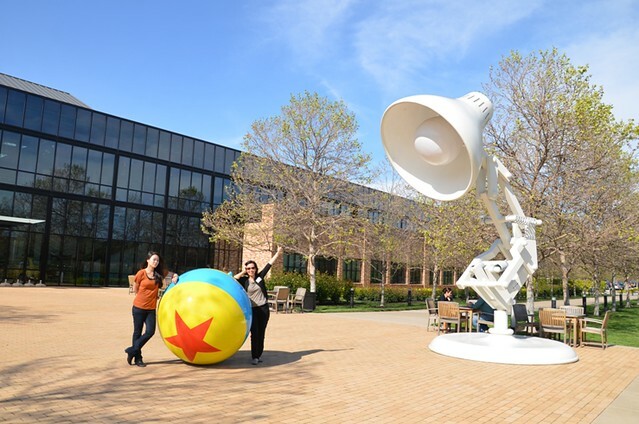 A few days ago, we were so thrilled to be shown around Pixar. We were allowed to take photos of most of the office buildings and grounds but were told not to post photos taken inside the buildings. I wish I can show you where the animation is done and other cool stuff. I saw this glass case of Oscar statues and other awards and realized that that was the closest I will ever get to a real OScar statue. We went crazy buying caps and t shirts and Pixar stuff, all of which are not sold outside. I need to snooze. Am not familiar with the laptop and certain programs so it takes too long to upload photos. Hub just arrived back to KK and I bet he wishes he's here. 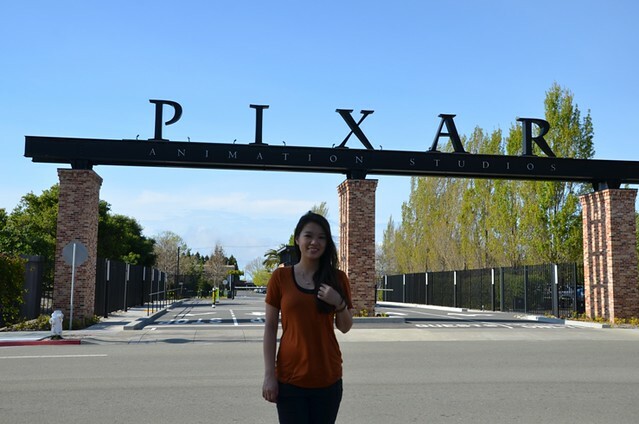 Yi goes to LA tomorrow and I stay put in SF because LA is last on my list of cities to visit. Been there twice and just didn't like it although Santa Barbara and some small towns on the way down are very nice. Yi and I meet up in New York next week. 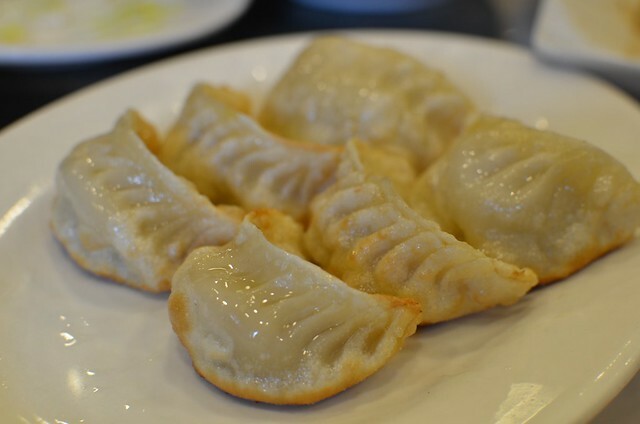 (This is a scheduled post) I've mentioned yindooxin so many times but never blogged about it because I've never cooked it myself until recently. 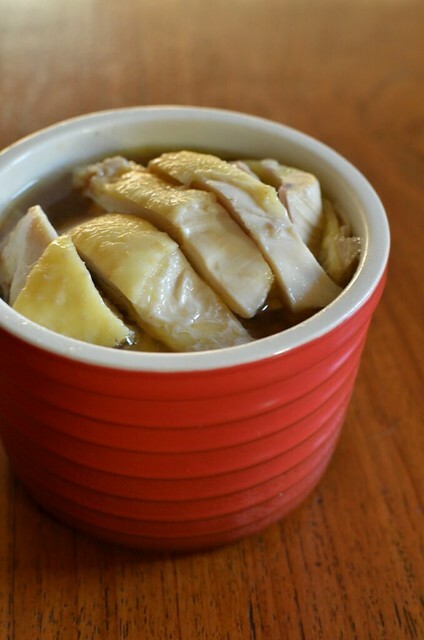 My MIL cooks this soup whenever visitors from Shanghai bring her the beancurd sheets. I used the stock from boiling the pork belly for hong sao ro. This is also the same stock I boiled the chicken for the salty chicken. I cooked a Shanghainese feast when I got back from SH. 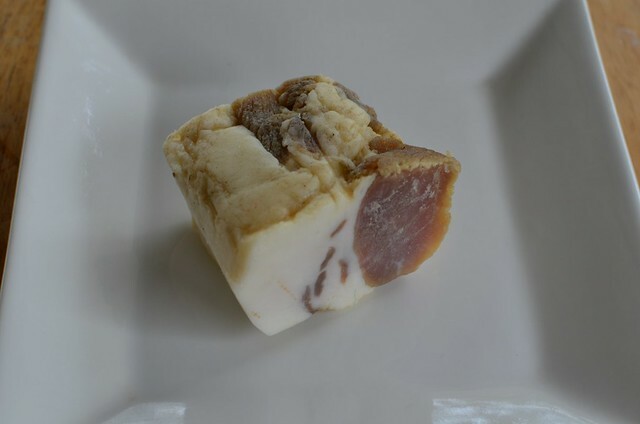 Xian ro (salty pork) is the right meat for yindooxin but for a stronger flavor and richer taste in the soup, you can use Chinese ham. 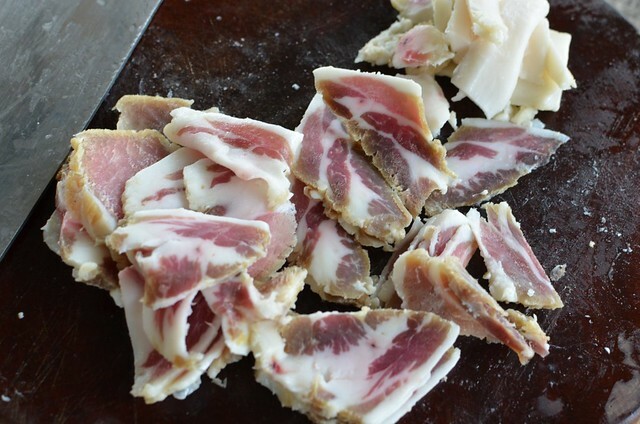 You can slice the cured meat or leave in chunks. 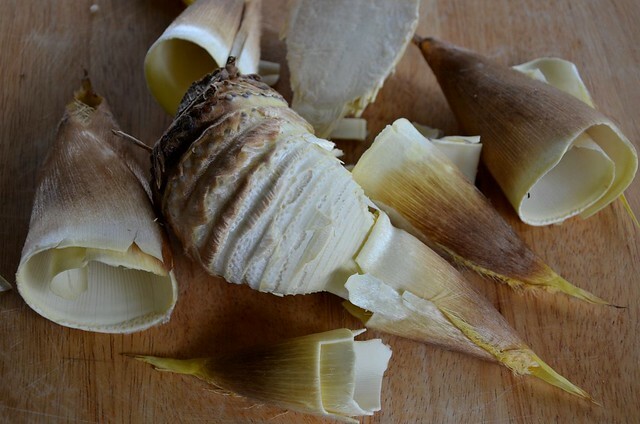 Fresh bamboo shoots. Cut into small chunks. 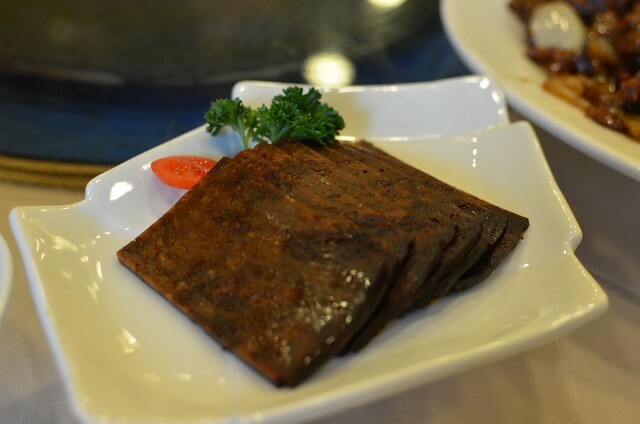 Fresh beancurd sheets come in 3 sizes--thin, medium and thick. Ahyi had bought me a mixture of thin and medium sheets. 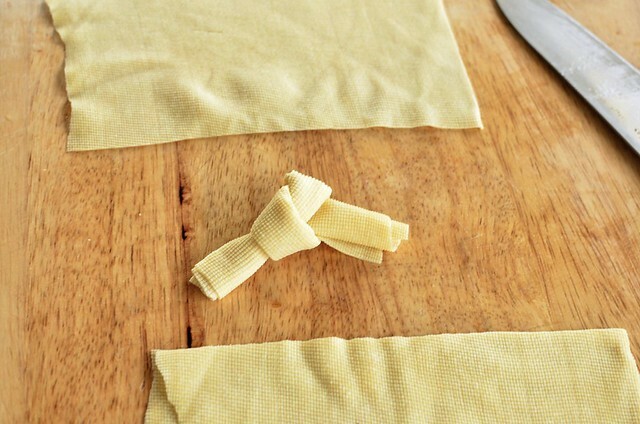 The thin sheets are easier to tie into knots. The medium sheets tear easily so I cut them into wide strips although the right way is to tie the beancurd into knots as above. hot water will soften the beancurd sheets. Leave for 15 minutes and then drain and wash once. Do not leave for too long or the sheets will become too soft. 1. Simmer a whole pork leg or pork belly in a large pot of water for an hour. 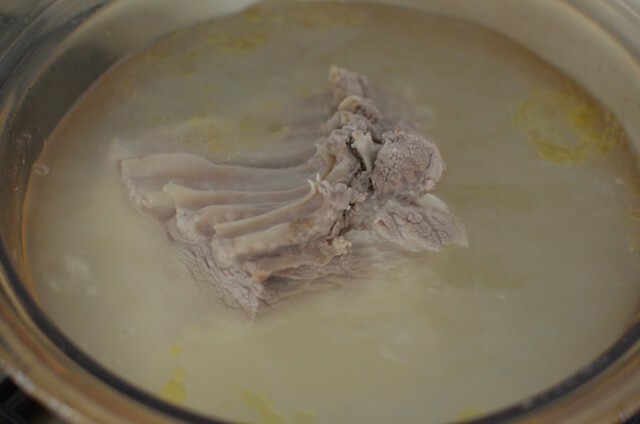 For a less rich soup, use lean pork bones. Blanch the pork or bones with boiling water first to remove any hair or smell. 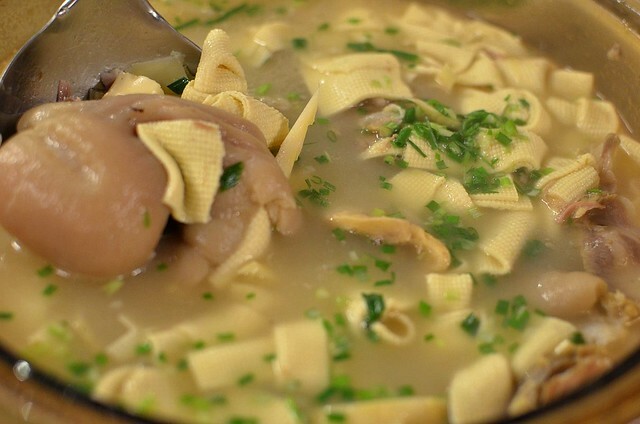 The soup smells better with some Shaoxing wine added now but traditionally, no wine is added. About 3 to 4 tablespoons should do it. 2. 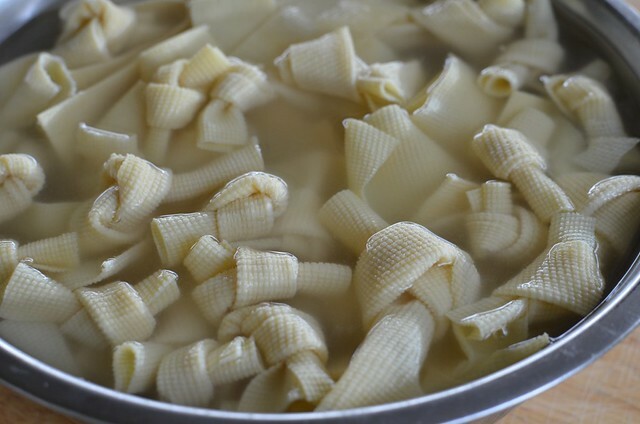 Add the bamboo shoots (cut into small chunks). If using ham or pork in chunks, put them in too. A 6cm square chunk cut into 3 is enough. Simmer another hour. If using sliced ham or salty pork, put them in later, when the soup's been boiling about 1 1/2 hours. 3. The pork should be quite soft now. 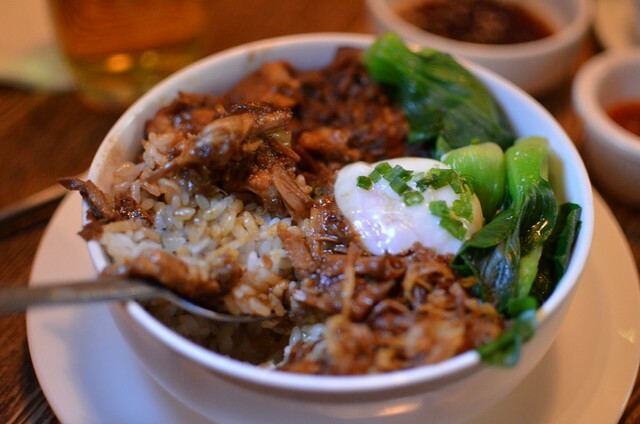 If you prefer the pork to be softer, let it simmer longer. When ready to serve, add the beancurd knots. When the soup comes to a boil again, let it boil another 3 to 5 minutes before turning off the fire. Season with white pepper. Add salt if necessary--the ham/salty pork usually is good enough. Serve hot with some finely cut spring onions. 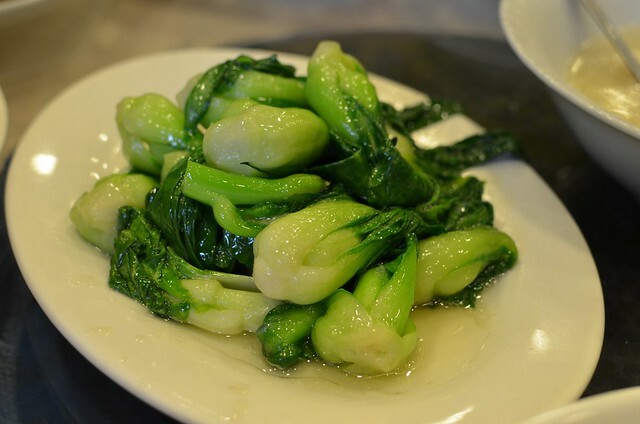 The beancurd knots will be softer and lighter in color. 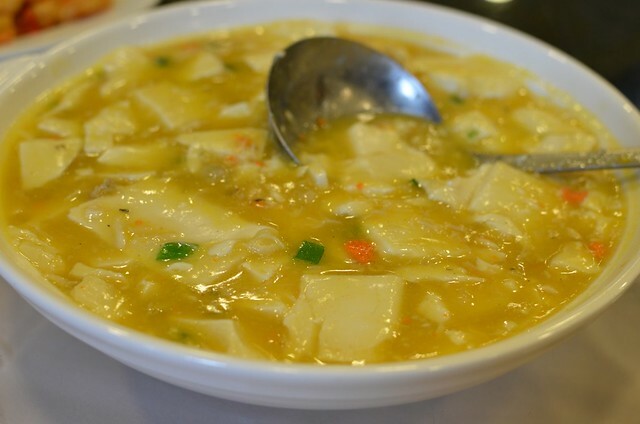 Yindooxin--a rich comfort soup for the Shanghainese. 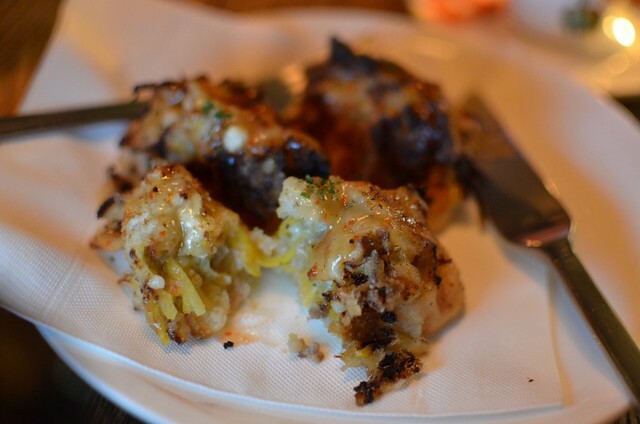 Here's another post on a meal we had in Shanghai. Again, I found the restaurant in Sugar & Spiced. 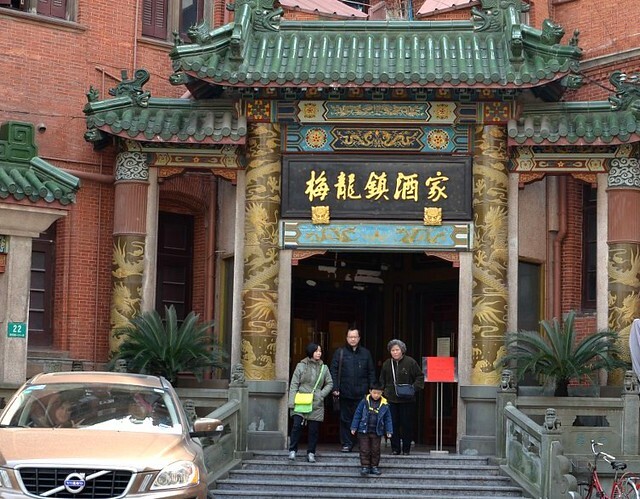 I had to fit this restaurant into my must-dine list after reading about all the pork dishes. 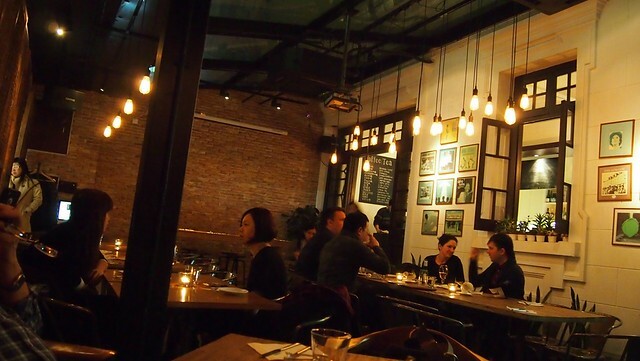 The Grumpy Pig is located on Maoming Bei Lu, a charming tree-lined street with old shop houses renovated into restaurants and boutiques. Access to the restaurant from the street is through a Converse shoe store. There is another entrance, with cobble-stoned walkway, at the side. When you sit down, you realize that The Grumpy Pig is really a roof and a glass wall between two buildings. 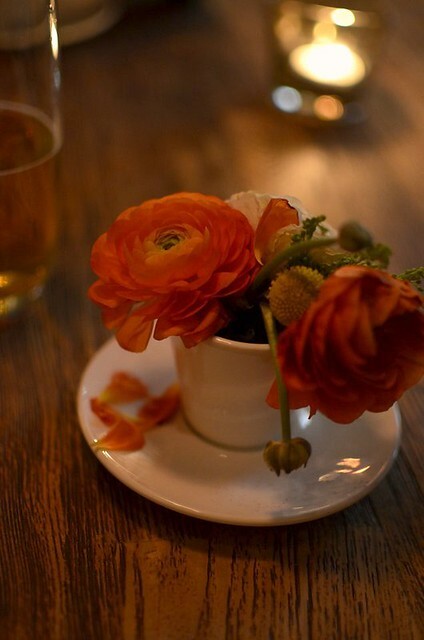 It's really cool and we love the cosy, relaxed atmosphere. Again, I ordered whatever was recommended by Sugar & Spied although I now feel that if a place is good, I should just order anything. 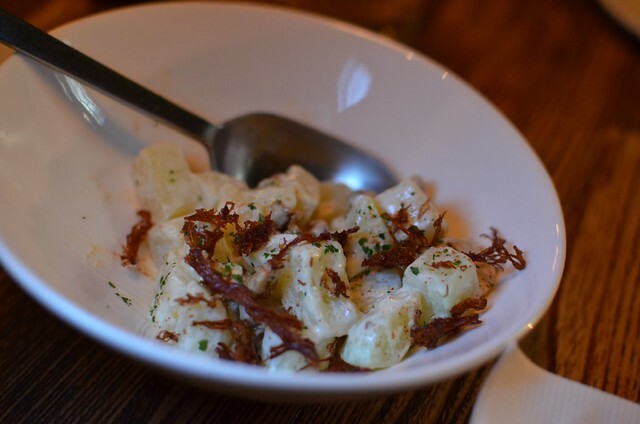 Potato Salad, RMB25/MYR13/USD4 was good but the portion was shockingly small. It's just potatoes and mayo, isn't it? Pork Street Toast, RMB18: "Pork, sweet potato on baguette, battered and fried, with sweet chili sauce"
Pork Rice Bowl, RMB40: yummy especially since three of us were fighting over it. Pork Wontons, RMB30/MYR15/USD5: the pork is supposedly hand-chopped (that's how my MIL does her SH wontons too) so that the meat doesn't taste mushy. 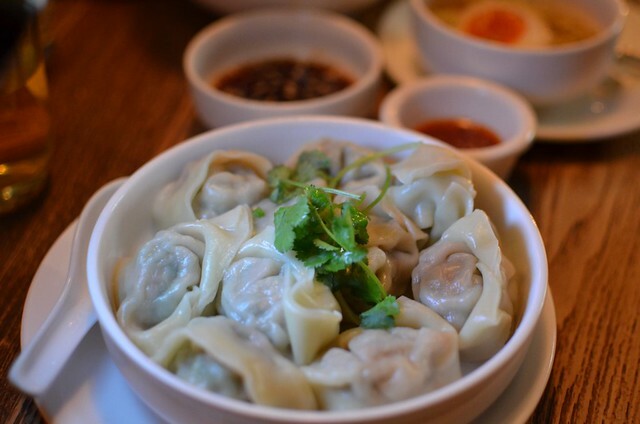 While this was good, I felt that for the price, I could easily eat two bowls of just as good wontons at regular Shanghai restaurants. It just felt rather pretentious for me to eat this in a western restaurant at more than twice the price that SHnese restaurants charge. Tonkatsu Ramen, RMB45/MYR23/USD7: Since we wanted to leave some space in our stomachs for supper (in Shanghai, the food choice is endless so it's wise not to eat too much each meal), we had to choose between the two most popular dishes, the Grumpy Sandwich or the Tonkatsu Ramen. 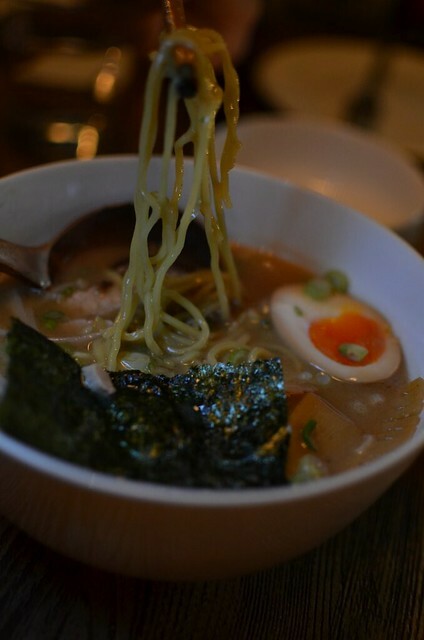 We went with the ramen because that's what we all prefer on a cold night. My daughter started going "Ohhh" and "Ahhh" about the noodles, but I found it quite ordinary, especially the soup. Overall, I like the place. 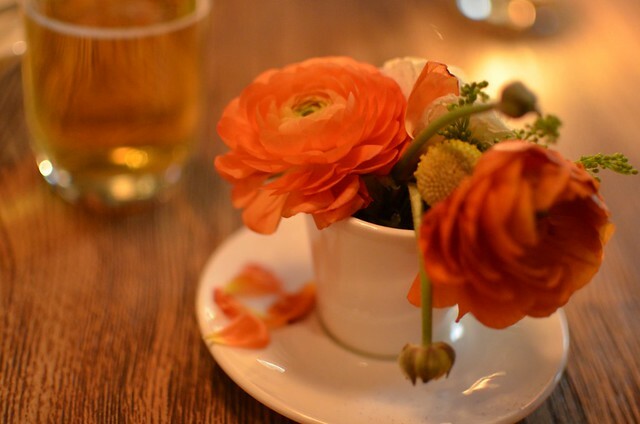 The service was excellent, the waiter (owner?) spoke perfect American English, the ambience was relaxed and the food was good although I found the portion small for the prices. That's another of saying the prices are higher than you'd expect, especially for the SHnese food, and for a casual restaurant. Another day, another meal. This was lunch in a long-established Shanghainese restaurant, Mei Loong Jen (translation: plum dragon village restaurant) on Nanjing Xi Lu. Remember Cousin H's grandson Luke? He's 1 1/2 now and an obedient little emperor who sits quietly without fuss as long as he's fed. It always amazes me when I see kids sitting nicely on their high chairs because my kids were always squirming and trying to get off their chairs. 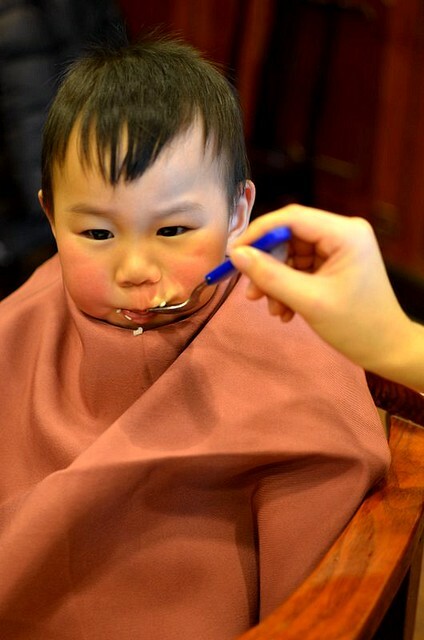 One of them loved to squeal and bang the table (especially when we're in restaurants) with her spoon. Oops. 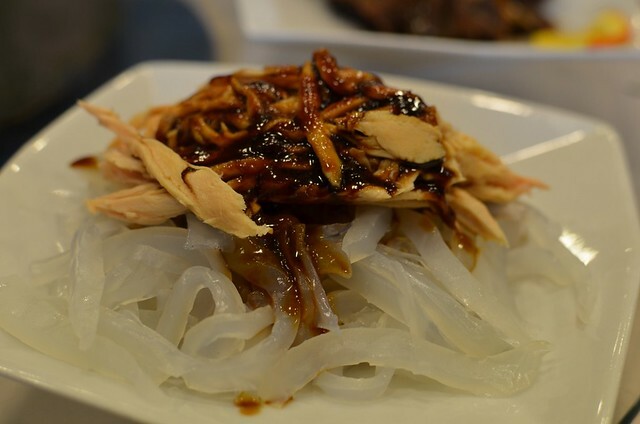 A cold dish of bean noodles (liang fen) and shredded chicken. Tasty and fun to eat. The noodles are el dente, smooth and cold. 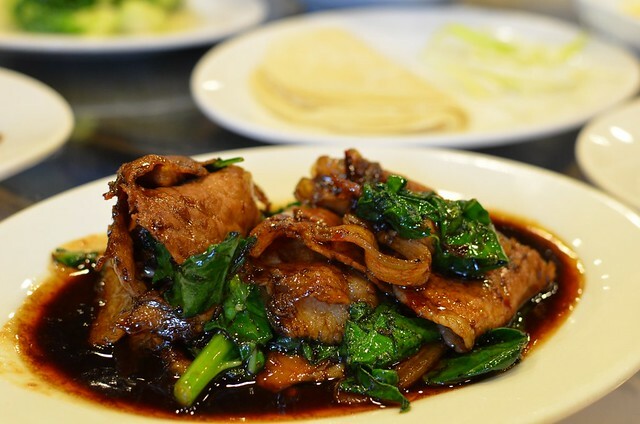 Sween yu, fried fish marinaded in a sweet sauce of sugar, soy sauce and spices and served cold. Nice, lots of flavors. 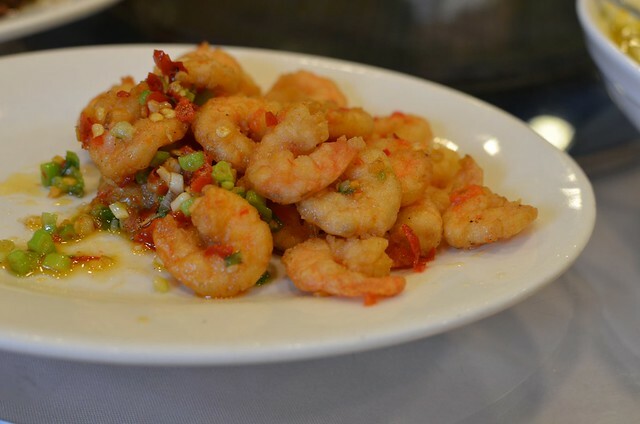 Deep fried salt pepper and chili prawns. Delicious tofu and crab roe--hey, this is that expensive tofu dish we ate at Old Jesse. 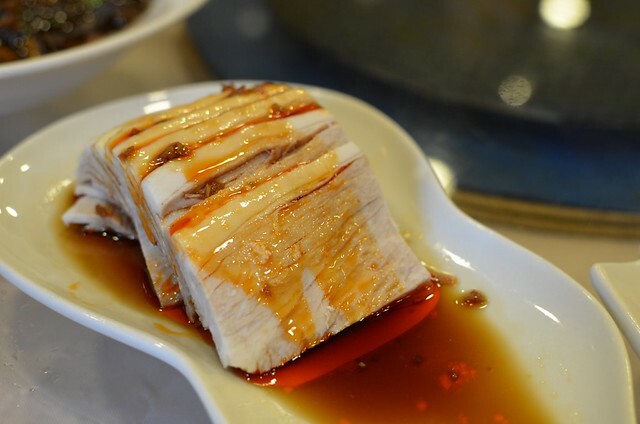 Slices of cold pork in vinegar and chili oil dressing--yum. 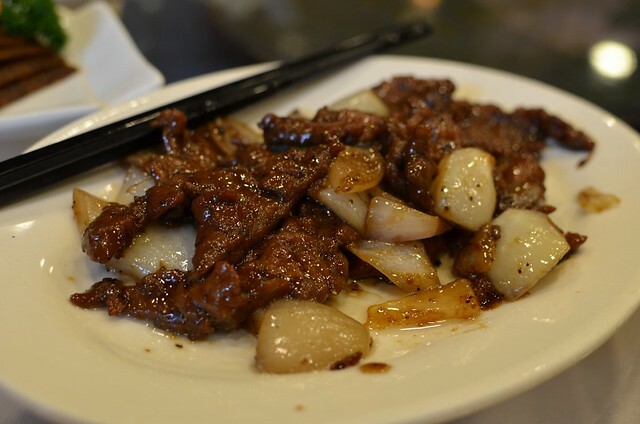 Another common cold Shanghainese dish--flavored pork and tofu I think. Baby snakes eels. 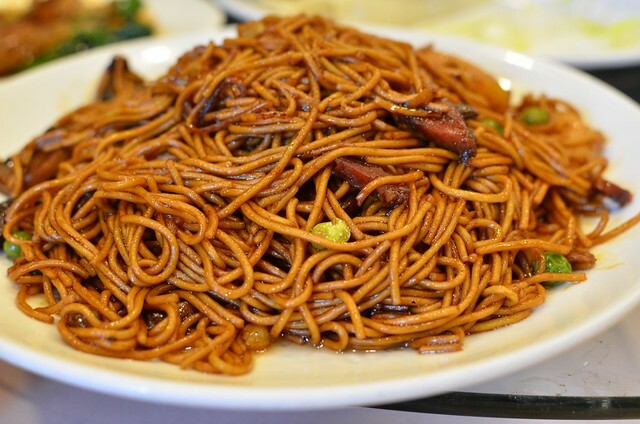 Everybody was telling I was missing out big time and I thought, ok, I eat a bite of unagi once in a while so I shouldn't discriminate against Chinese eels so I took a small piece, bit into it and immediately spat it out. I just couldn't eat it. Ew. 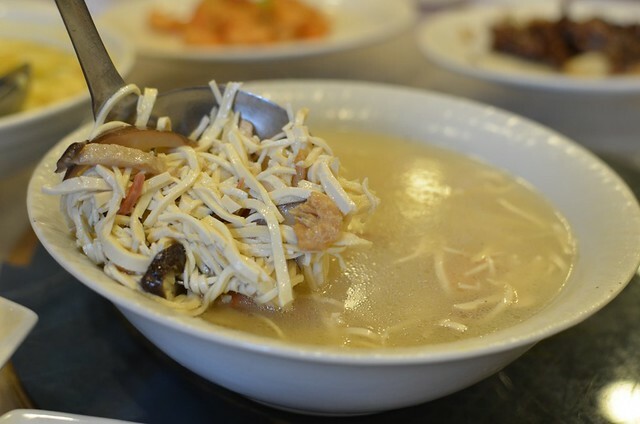 Gan si tang ('shredded firm beancurd soup'), one of my Hub's favorite Shanghainese soups, is made with pork stock, firm beancurd shreds, dried Chinese mushrooms and Chinese ham. Beef fillet in bean sauce. 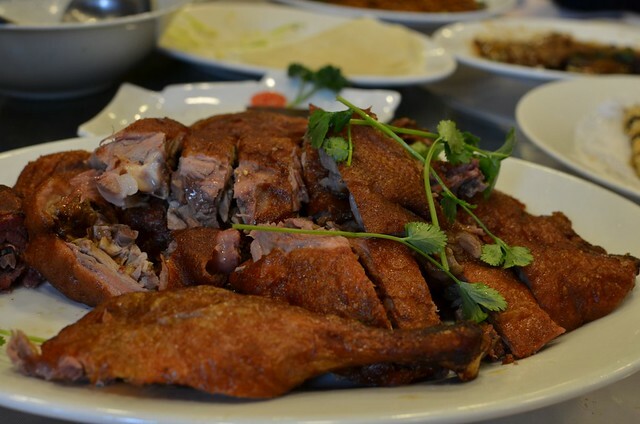 Tea-smoked duck, another Shanghainese specialty but I prefer Cantonese roasted duck. When in Shanghai, you must eat xiaolong baos, gou tie, SH wontons and shengjian baos. 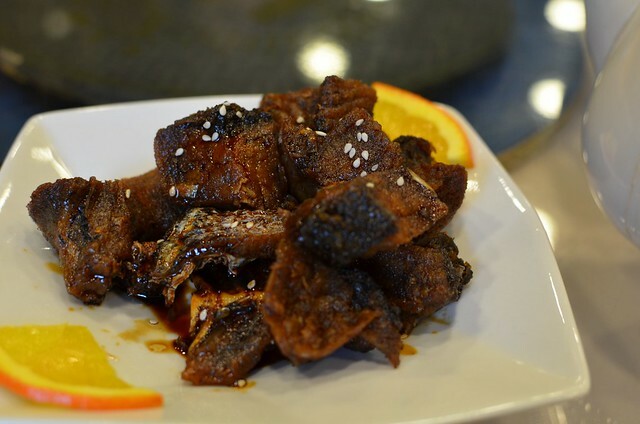 A SHnese take on twice-cooked pork, hui gou ro ('return to the pot'). I gorged on this because it was tasty and because I love noodles. 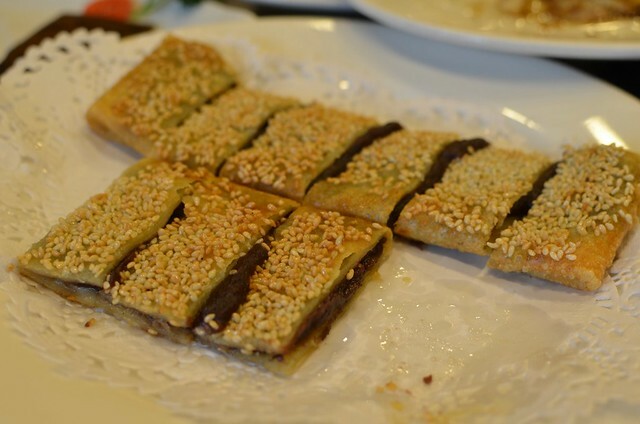 Shanghai pancakes with red bean paste. Warm, full and ready for his nap. I'm off to San Francisco this afternoon to attend the e.g. Conference. The enormity of the conference hit Hub when the schedule was posted online last Wednesday. He decided then that he would have to go even if it meant missing an important meeting. We are excited, happy and grateful for how things have turned out for Yi. It all started because she worked on her New Year's resolution to do something about her love for art. The fee to attend the 3-day conference is a whopping USD4000. From what I've read, it's the gathering of great creative minds and new 'rising stars'. I have to admit that I don't know many of the presenters until I read up on them but I do know the beautiful Lena Herzog because I've read about her photography work in magazines. She will speak two slots before my daughter! I heard of Kina Grannis the Youtube singing sensaton from my daughter. She gave a sold-out concert in Kl when I was there two weeks ago. Kina will open the conference on 12th April in Monterey. Most guys/boys will root for Adam Savage, the Mythbuster. For the first time, the annual e.g. Conference will be streamed online. If you sign up under the presenters' names, you get 50% off and pay only USD100 for 3 days of live full coverage. Do not hold out for You tube broadcasts because only very few presentations are posted on e.g. Conference's website. I think USD100 is definitely a great bargain. Be inspired and motivated by new ideas, inventions and talents. I am especially proud that Yi is (probably) the only Asian Asian presenting this year. 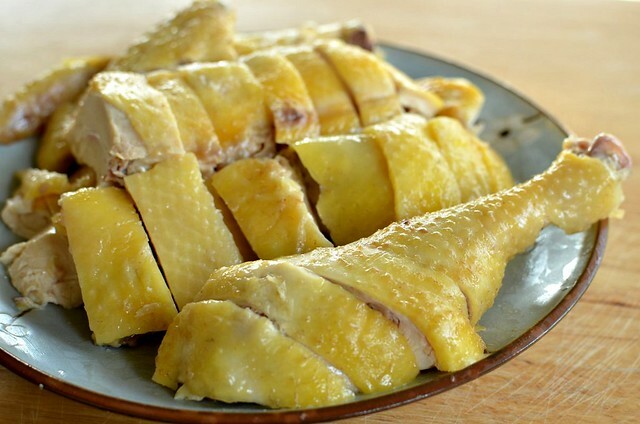 Xian ji, salty chicken (often erroneously called salted chicken, yen ji), is a tasty twist to the most common and popular Chinese chicken dish, 'white chopped chicken' which is simply boiled chicken. 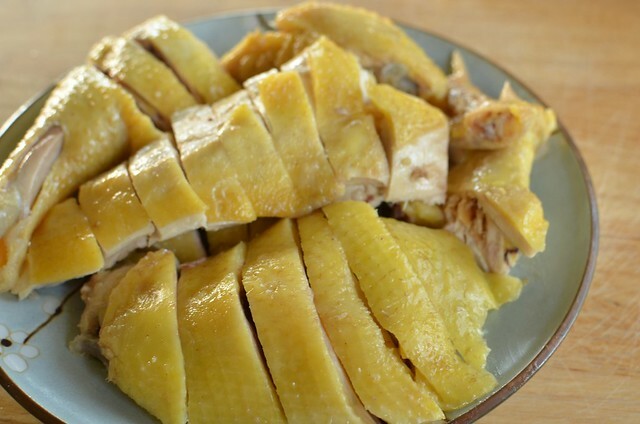 The Shanghainese often complain that white chopped chicken is too plain and so they season the chicken with wine to make drunken chicken and salt to make salty chicken. 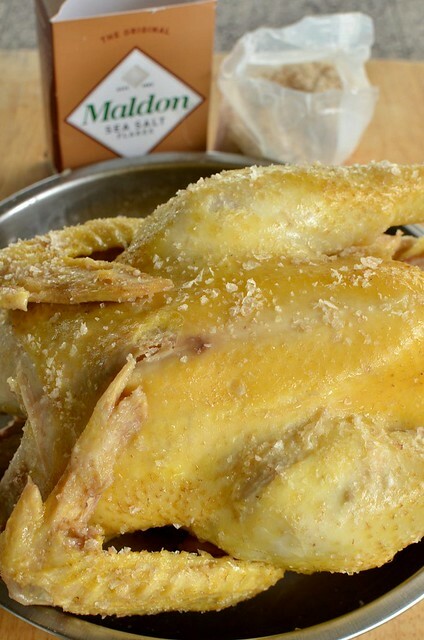 This is an easy and quick way to make salty chicken. Instead of salting the chicken overnight and steaming it with ginger and spring onions, I prefer to salt it on the same day as I cook it and simmer it and rub salt all over when the chicken is still warm. This method saves you from having to prepare a night ahead, the chicken is tender and there's stock for soup and cooking. 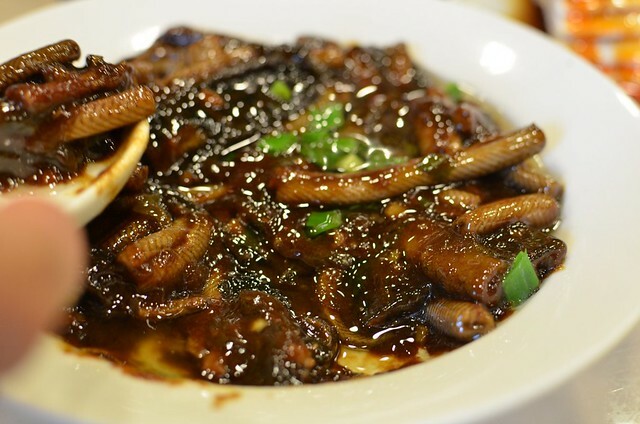 I serve xian ji cold, like drunken chicken, and it is a dish that never fails to get me praises. The only commandment I insist on keeping when making xian ji is that only free-range birds should be used. No dead white chickens from the supermarket. When the cooking is this simple, you must get the best chicken. I call my chicken farmer a day before I want the chicken and he slaughters it for me just before I collect the chicken at his house. 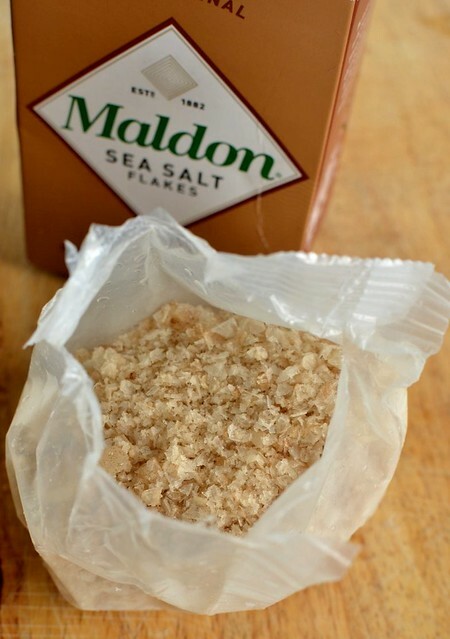 My friend Janet, who has recently relocated from England, gave me a box of smoked Maldon sea salt flakes which made a heck of difference to my xian ji. The salt not only gives a slight smoky flavor but also tastes great, without the sharp slight bitter saltiness that regular salt has. "Thou shalt use Maldon sea salt flakes to make xian ji" is now my second commandment for making this dish. Laura of Florence, Italy once asked me how I chop my chicken into small pieces. 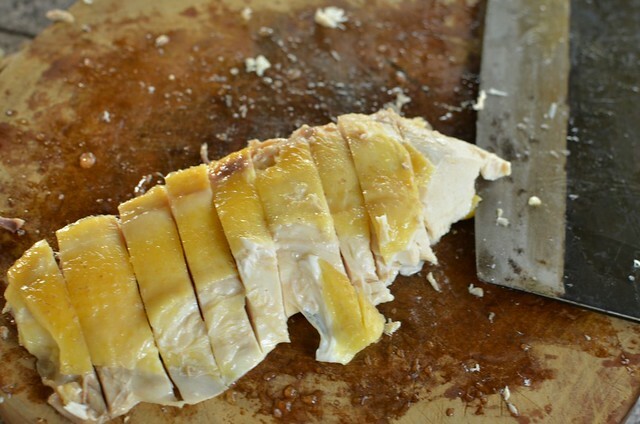 This post is specially for you, Laura, and for all of you who have never chopped chickens. My mom had only two knives in the kitchen. Okay, there were a couple more, but there were only two that she used daily. The most indispensable one was a 'dai doe ma' (meaning big female knife; apparently knives are feminine to the Chinese) which has a blade about 5"/13 cm deep and 10"/25 cm long. The other was a little paring knife. The doe ma peels, chops, slices, juliennes, minces, smashes, mashes and even lifts cut veggies from cutting board into wok. 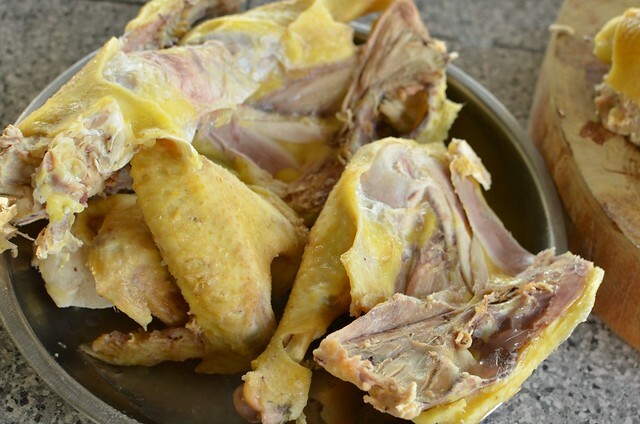 Joint the chicken into 6 pieces: 2 legs, 2 wings, breast and back. 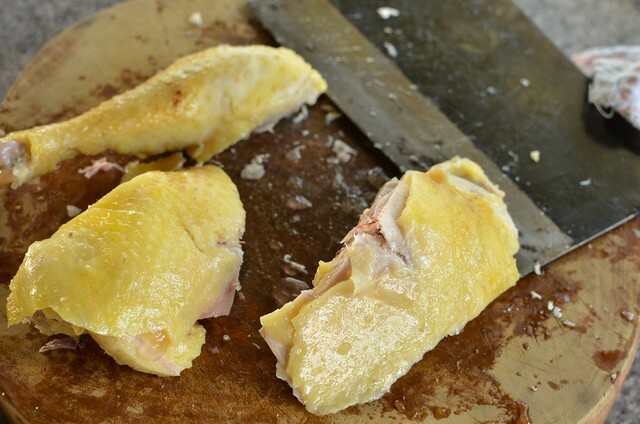 Chop the back first, into 2 pieces lengthwise and then chop each piece into smaller pieces and place on the serving dish, so that they can prop up the breast. Plus it is the least attractive part. Instead of serving one chicken on one plate as is usually done, I've divided the chicken into half so that I can keep the other half in the fridge to chill and take it out if needed. Cut the leg into three. Chop into smaller pieces and place on the serving dish. Remember, the idea is to arrange the bird so that it still kind of looks like one. Cut the breast into half lengthwise. Here you get a better look of a dai doe ma, Chinese cleaver. It's big-bladed and heavy. Chops right through tough bones. 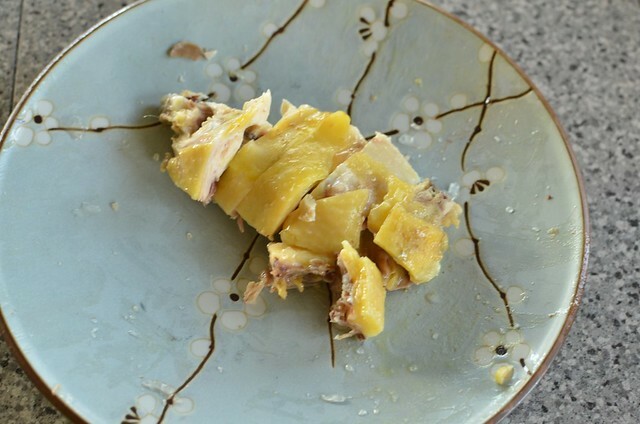 Put any leftover xian ji into a small pot or dish and pour in some chicken stock (from cooking the chicken) and Shaoxing Huatiao wine to cover. Chill until ready to eat. Yum yum yum! 1. Rub about 1/2 teaspoon of salt inside and outside of the chicken, cover and place into the fridge for at least 1/2 hour (if longer, reduce the salt for rubbing later by 1/2 teaspoon). Boil a pot of water enough to cover the chicken. Carefully place the chicken into the boiling water, cover, and when the water comes to a boil again, reduce the fire until the water just simmers. Simmer for about 20 minutes. 2. 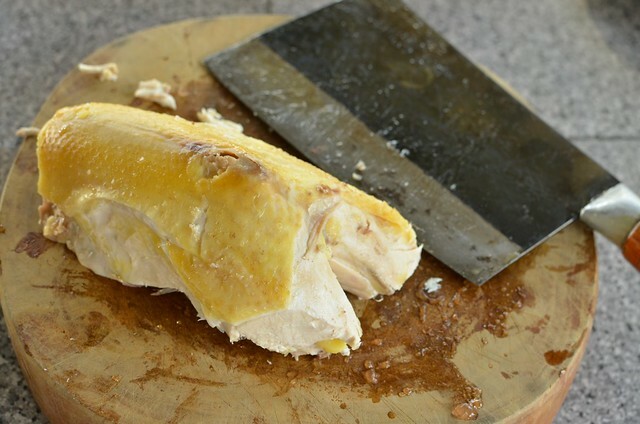 Checl for doneness by plunging a thin skewer into the thickest part of the thigh. Let chicken cook longer if the liquid that runs out is reddish. Carefully lift the chicken from the water and place into a large bowl or pot of room temp water. Soak about 5 minutes (longer if making white chopped chicken). 3. Lift the chicken onto a large platter. Drain. Rub about 2 teaspoons of salt in and outside of the chicken. 4. Wrap the chicken in foil and when cool, put into the fridge for at least 5 to 6 hours before chopping. I made soy milk chiffon like the one I ate in Shanghai last month. I took the recipe from the Internet but didn't quite like the result because it was more sponge cake than chiffon. The recipe below is adapted from my favorite pandan chiffon cake. 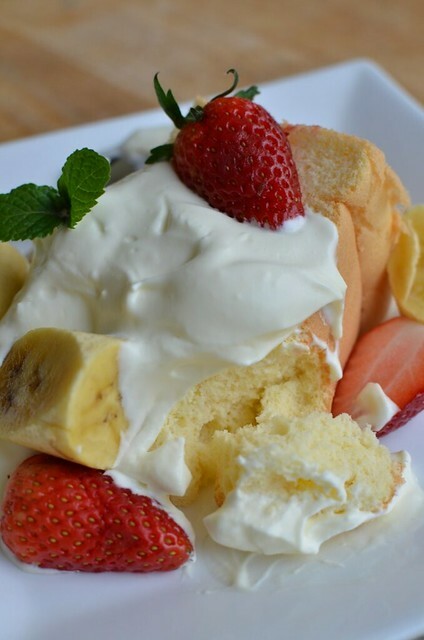 The cake gave off really awesome wafts of eggs and soy milk while in was baking but when eaten with the soft cream and fruits, it was hard to tell that the chiffon was made with soy milk. Well, I thought I did detect soy milk but the rest of the family did not. Anyway, for those who are avoiding cakes made with dairy products, this is a good option. I don't know what you can substitute the dairy cream that should be served with this cake though. This is a very Japanese/Asian cake and should your guests be Caucasians or westerners, I suggest you bake a denser, more substantial tea cake for them. I once served my light lemon fresh cream cake to an Aussie friend and you could tell he wasn't impresssed while the rest of the table, Asians, loved it. He licked my plate clean when I baked a dense chocolate cake so I am convinced that western/Caucasians guys don't like light airy cakes. Girls seem to like their cakes soft and airy, Asians or otherwise. 1. 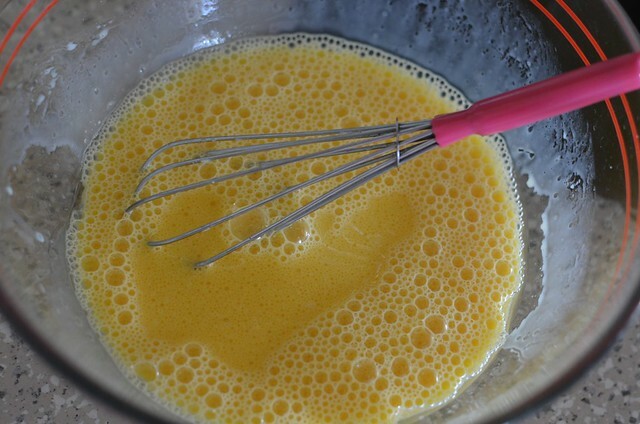 Whisk all the wet ingredients and sugar in a bowl. 2. 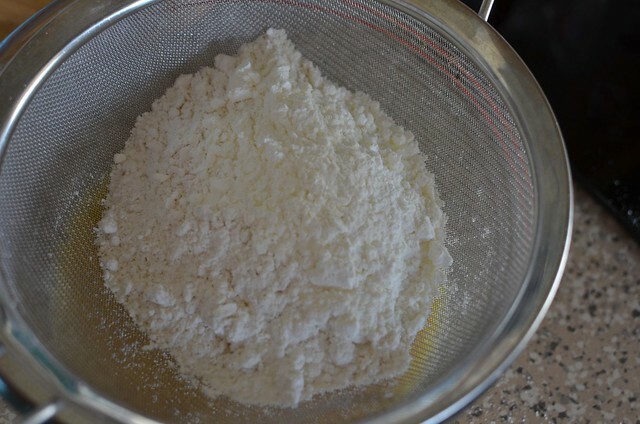 Sift in the dry ingredients. 4. Egg white is to a cake as light is to photography. 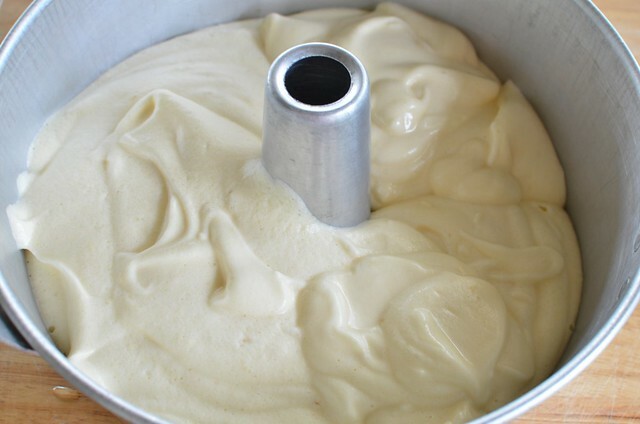 If the egg whites are beaten to the right stage, the cake will be perfect. 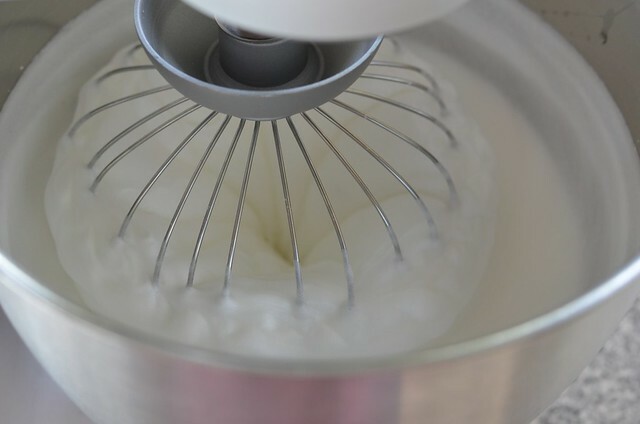 The best stiff peak stage is when the egg whites are stiff but not overwhipped or they will not be able to hold the batter and the cake will fall and be flat and heavy. 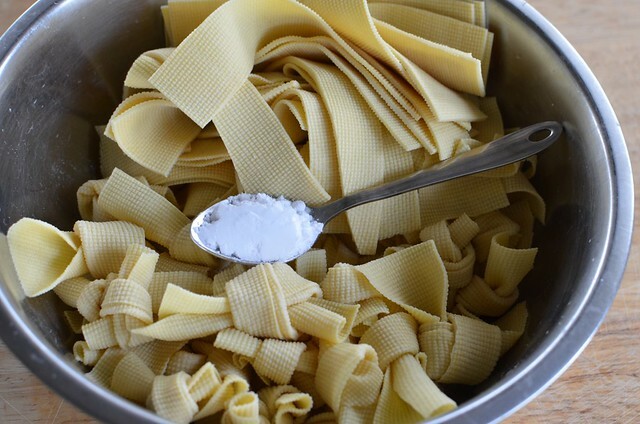 I can tell when the whites are ready: when they form a ball around the whisk. 5. 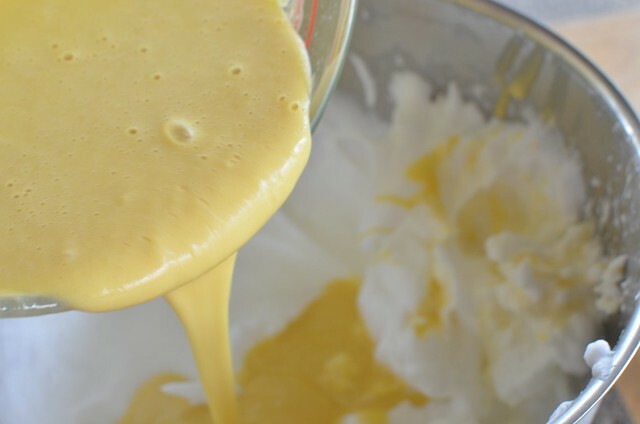 Lighten the batter by adding some beaten whites to it, then add the batter to the whites (heavy mixture into light is easier to mix). 6. 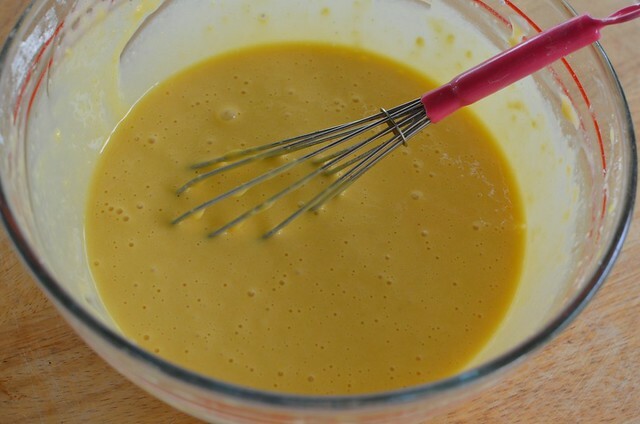 If the batter is still stiff after all that mixing, you know the cake will be soft and fluffy. Level by shaking, then tap or drop the cake tin on the counter to knock big air bubbles out. 1. Switch oven to 160 C. Get ready a bundt pan (9"/19cm diameter at top), no need to grease. 2. Mix all the B ingredients in a bowl. 3. Beat A ingredients in your machine until stiff and fold 1/3 of A into B and then all the AB mixture into the remaining whites. Mix well (you can use the machine) until uniform. 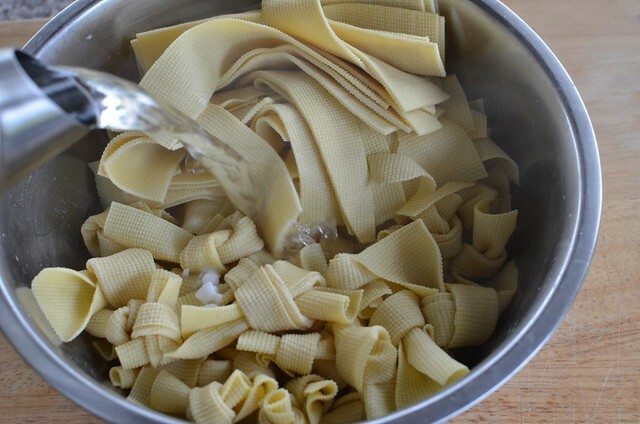 Pour into the pan, level and drop pan on the counter from a height of about 6"/15 cm to knock out large air bubbles. 4. Bake 1 hour and invert the bundt pan when you take it out of the oven so that it will hang and not sit on its own weight. When cooled, ease the cake out by running a blade around the tin. 5. 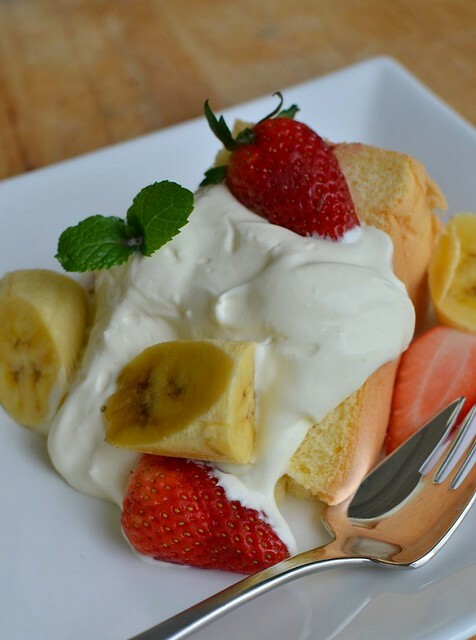 Serve slices of the chiffon with soft whipped cream and fresh fruits such as strawberries. blueberries, kiwis and bananas.